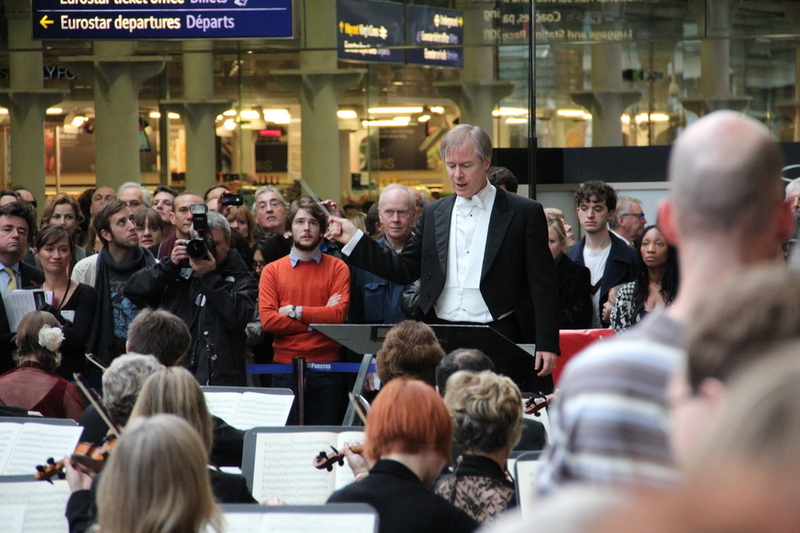 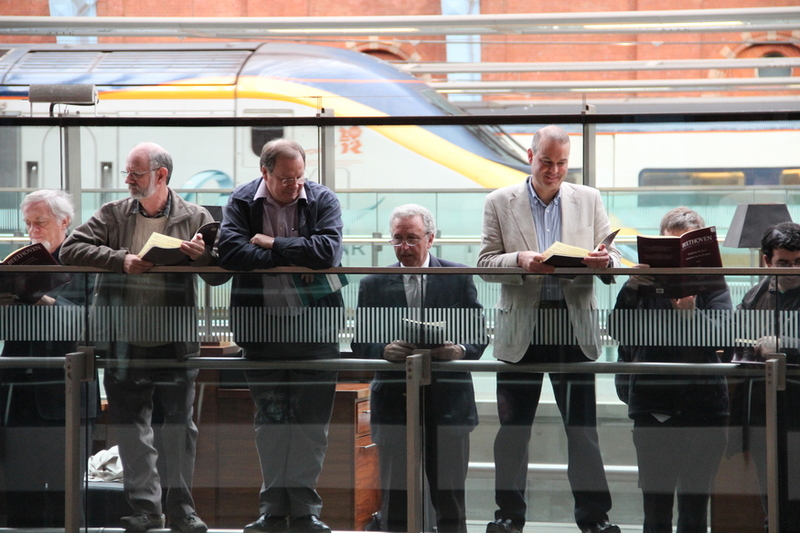 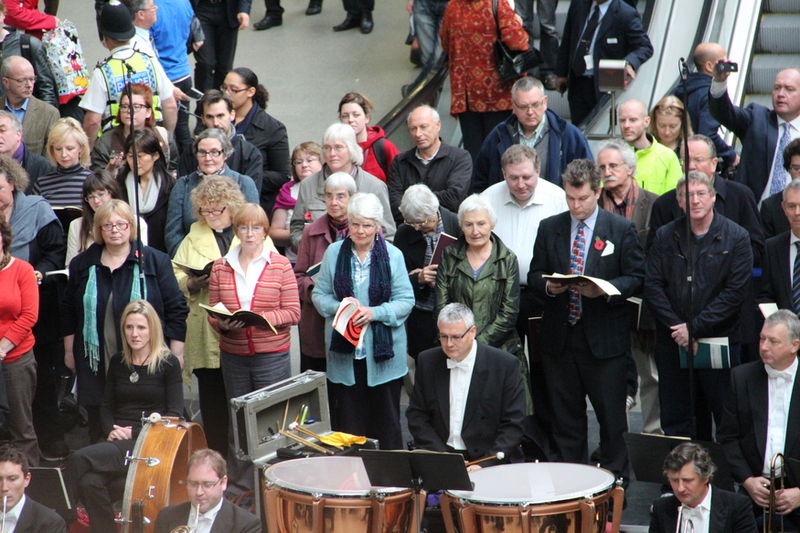 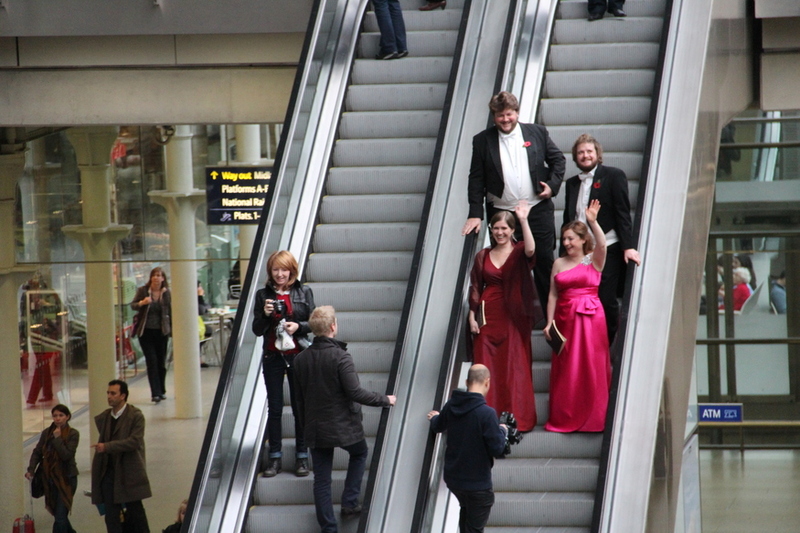 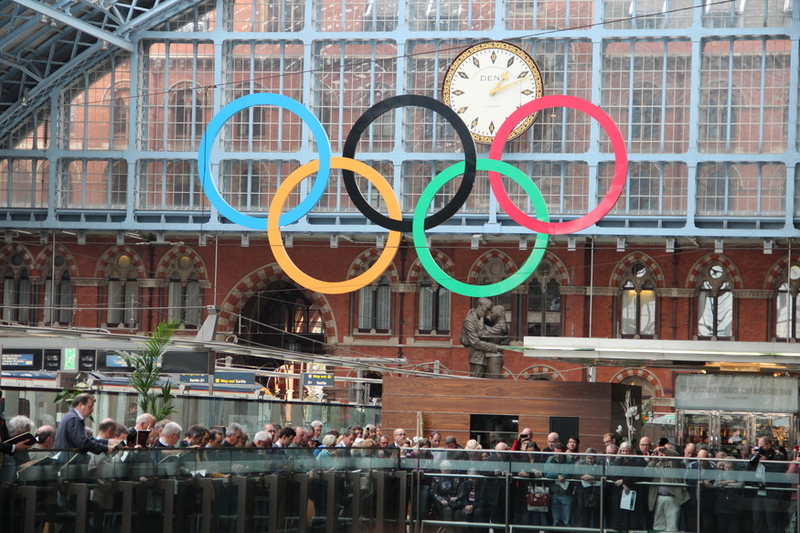 The crowd of musicians, singers and onlookers clogged up the lower concourse of St Pancras International yesterday as the strains of Beethoven's Ninth rang throughout the station. 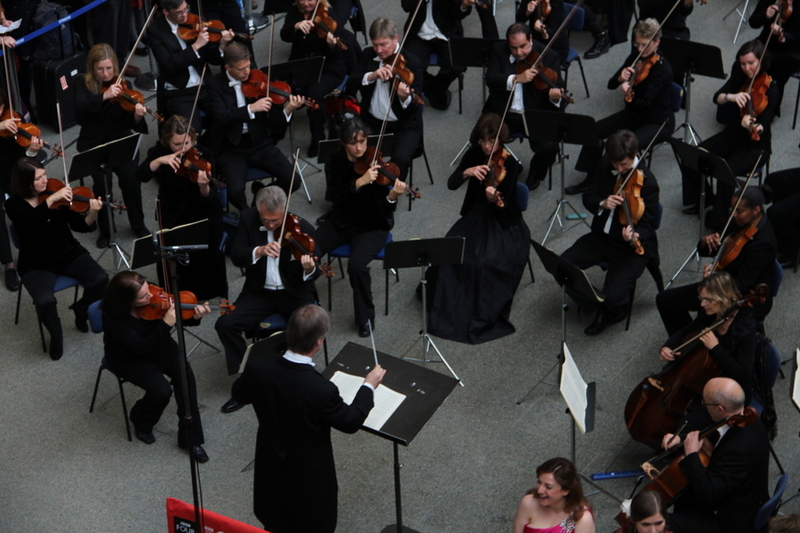 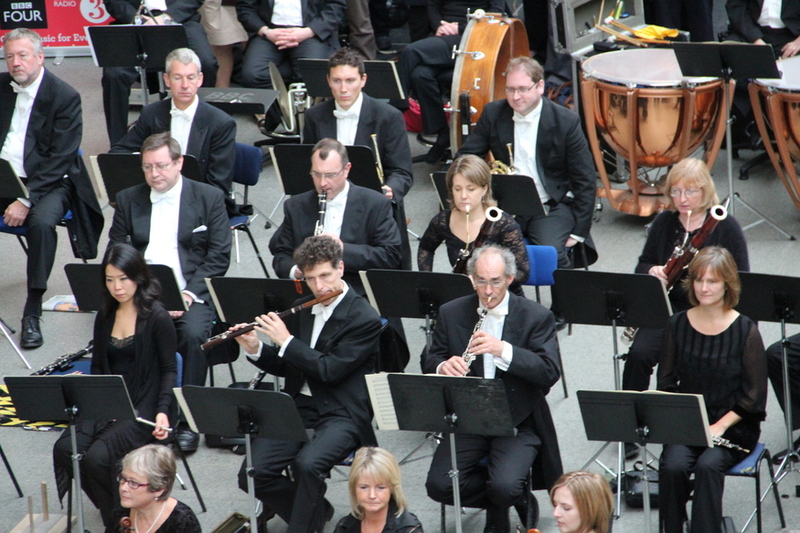 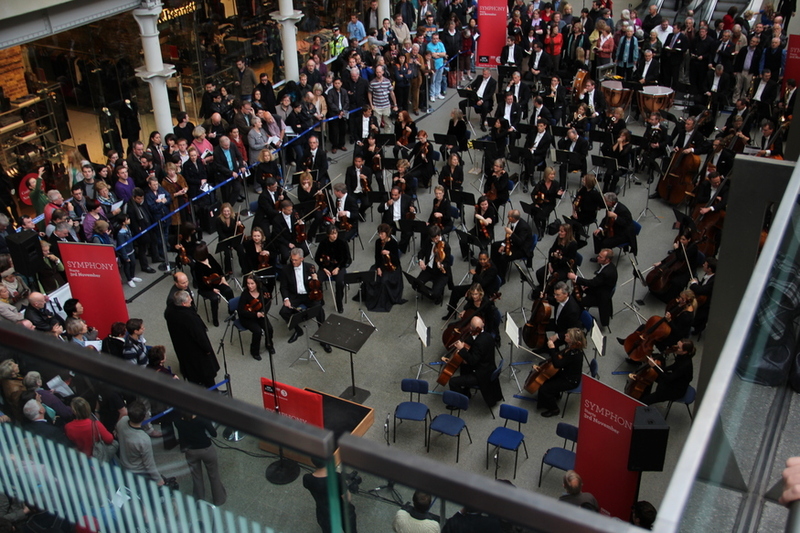 Aside from the noise of the odd incoming Eurostar train, the BBC Symphony Orchestra's performance got a good hearing. 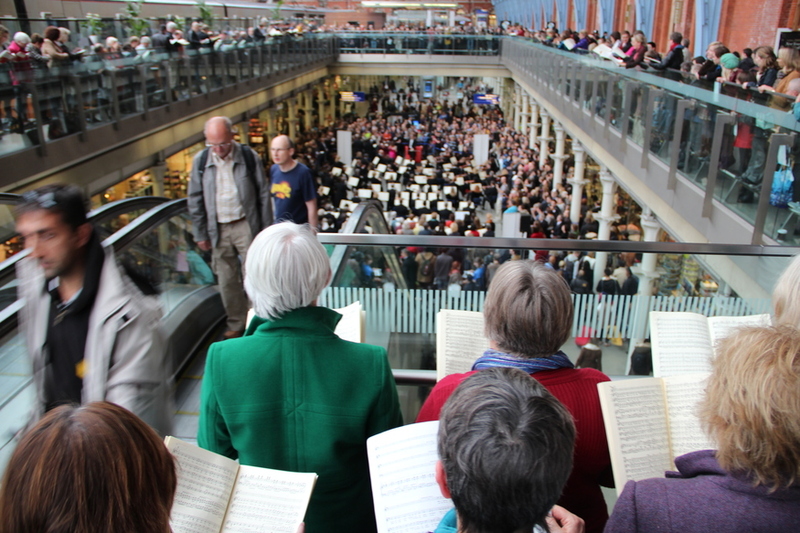 A massed chorus of singers – many of whom were lined along the upper balcony – brought a collaborative feel to the event, which was promoting a new BBC series about the history of the symphony. 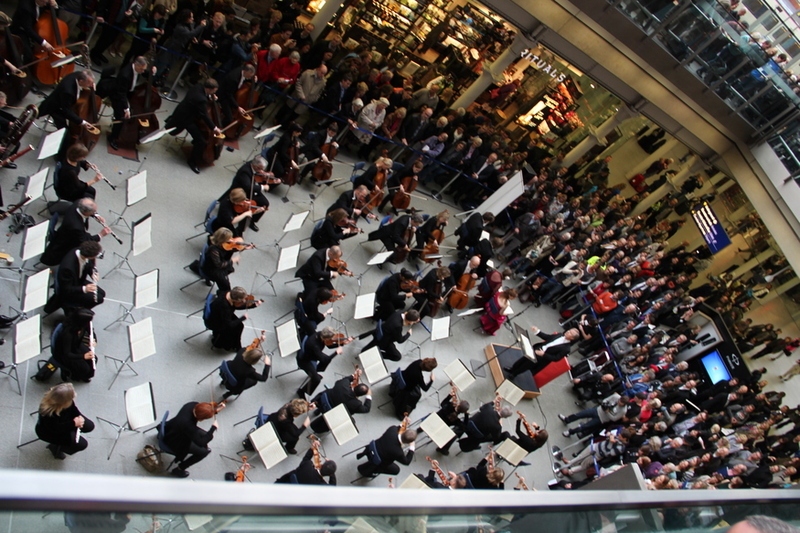 Footage courtesy of BBC Radio 3 and Wash Media.